Seems that fragrance in white roses has somehow been an elusive combination. 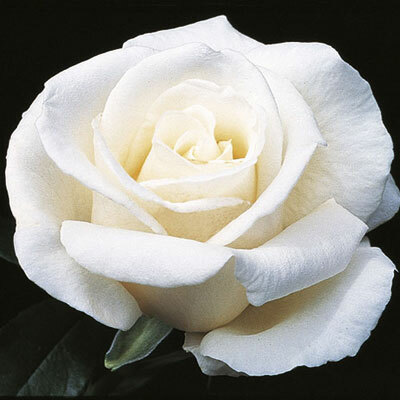 So when the wonderfully scented New Zealand produced a white color sport (mutation), it was a welcome surprise. Other than color, it's got all the great qualities of "Mom"–great glossy foliage, beautiful flower form, etc. But best of all, it's got that heady honeysuckle perfume that'll make you swoon with just one sniff. Opens best when temps are consistent. Best flower size when cool.